Founded by Irish settlers in California looking for to create a little piece of home, Dublin, CA is absolutely filled with proud Irish culture. You’re unlikely to find more places this side of Boston that celebrate St. Patrick’s Day with such joy and authenticity. A suburb of San Francisco, Dublin is in a great location for getting away from the big city without losing the culture that’ll make you proud to call this town home. Here at Equity, we understand what a hassle work can be. Why spend 20 minutes driving to a train that you’ll stay on for an hour and a half? Don’t worry about that here. The BART train is mere minutes away from you when you stay with us. Instead of wasting time on a commute, now you can spend time doing important things like hanging out in our outdoor pool, or grilling up some steak in our outdoor grilling area, or maybe taking a walk on the Iron Horse trail. At Equity, we want to make sure that you find a place that checks off everything on both your “must haves” and “fun” lists when it comes to finding an apartment. 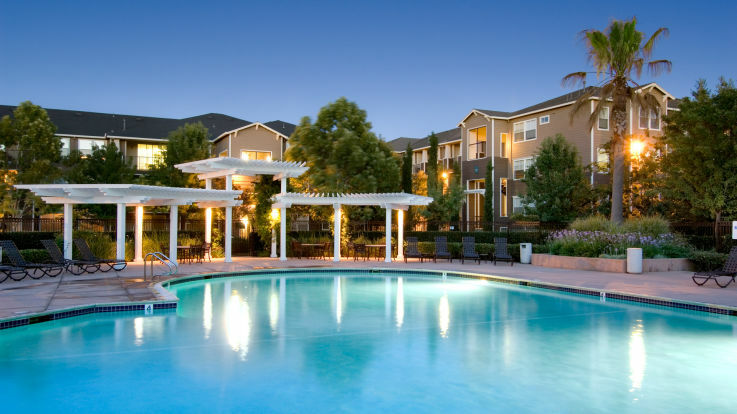 We believe that work and play are both important, so give us a call so we can begin getting you on the path to an incredible Dublin, CA apartment.